These processes are a cost containment feature of many group medical policies whereby the insured must contact the insurer prior to a hospitalization or surgery and receive authorization for the service. Under some health plans, individuals are required to receive advance authorization of particular medical services. Such advance authorization is called “preauthorization” or “pre-certification.” Depending on the type of plan the patient has, the provider (physician, hospital, etc.) may request this authorization or the patient may be required to do so. The provider will follow this process for all services provided. 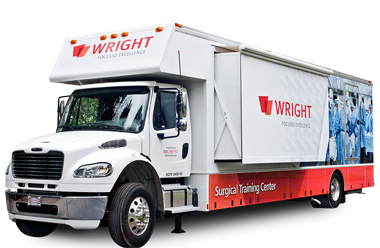 It is best for the provider to request review of Wright products utilized as a part of their services at this same time. Remember, this process DOES NOT guarantee payment. All payers, including Medicare, reserve the right to make a determination regarding payment at the time the claim is received and processed. For further reimbursement questions, please contact your current local sales representative, or submit additional questions to Code It Wright.